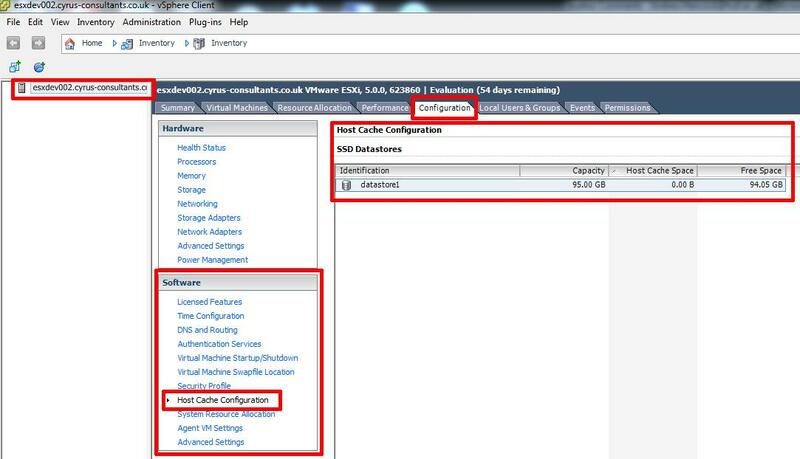 In VMware vSphere 5.x (ESXi 5.x) there is a new feature called Host Cache Configuration. This new feature allows the VMware vSphere Administrator to configure the VMware vSphere 5.x (ESXi 5.x) host server to use a cache on a Solid State Disks (SSD) for the virtual machine's swapfile for better performance, because the SSD has much faster latency than a traditional mechanical disk. This is also known in VMware Administrator circles as Swap to Host Cache or Swap to SSD. Once Host Cache Configuration has been enabled, the virtual machines will be swapping to SSD, but this swapfile is not a true swap file, and the entire virtual machine swap file (.vswp) is not stored on the SSD. With the current fall in prices for consumer SSDs, it can give a real performance boost to a VMware ESXi 5.x server which is short on memory. Consumer SSDs e.g. Kingston SSDNow V+200 Drive Model SVP200S37A/60G are generally cheaper than server memory. We recently purchased this model for £29.99 GBP. In the following tutorial, I'll demonstrate how you can Enable the Host Cache Configuration Feature. 1. 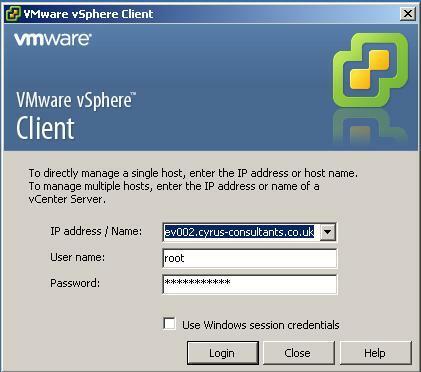 Connect to the VMware vSphere Hypervisor (ESXi) or VMware vSphere vCenter Server. Select the Host followed by the Configuration Tab, on the left hand side under Software heading should be an option called Host Cache Configuration, this option is only present on ESXi 5.0 and ESXi 5.1 host servers, and this is a per host setting. If no SSD Datastores are present checked the SSD has been tagged correctly as a SSD, and the datastore has been formatted as a VMFS datastore. 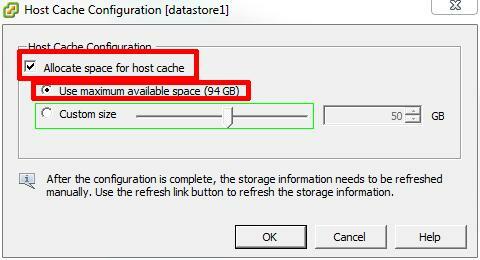 Select the tagged datastore you want to configure for host cache. Right-Click the datastore and select Properties. Select and put a tick in the Allocate space for host cache. 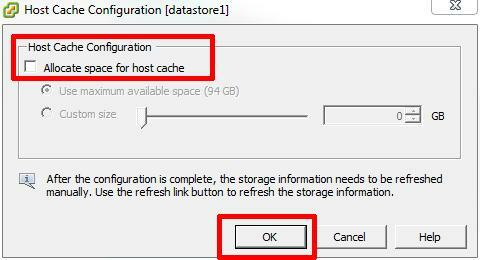 It is recommended to dedicate a SSD datastore entirely for Host Cache. If you want to create a custom size, adjust the slider to the desired size. Congratulations you have successfully configured and enabled the Host Cache Configuration feature for your host VMware vSphere ESXi 5.x Server (ESXi 5.x server. ).